So remember last week when we said the threat of Mount Agung’s eruption was minimal? Well, that may have changed slightly. 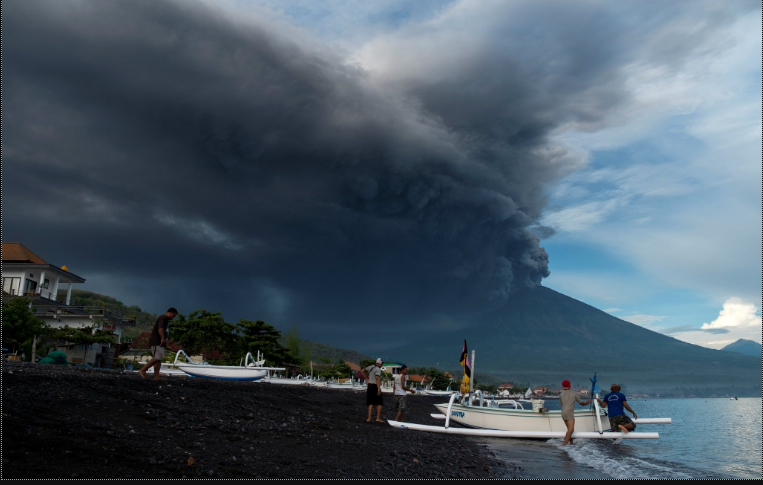 Denpasar Airport has been closed and flights have now been delayed as the dense volcanic ash cloud spreads above Bali. The airport will be closed 24 hours pending further closure depending on the intensity and scope of the massive ash cloud, said the National Disaster Mitigation Agency. The exclusion zone around the mountain has also been increased; the volcano’s threat level has also been raised to the highest possible level. The level was upgraded from three to four, as magma is now believed to be close to the crater. Flying conditions in Bali have worsened this morning due to the ash cloud from the Mount Agung volcano. As a result, all our flights in and out of Bali for Monday, 27 November have been cancelled. While these disruptions are frustrating, we will always put safety before schedule. We appreciate our customers’ patience. You can check the status of you flight from the Flight Status page on Jetstar.com or via our smartphone app. We are doing everything we can to get customers moving as quickly as possible. Our senior pilots will make an assessment with the latest information and forecasts from the Volcanic Ash Advisory Centre and we will provide another update by 7pm today. 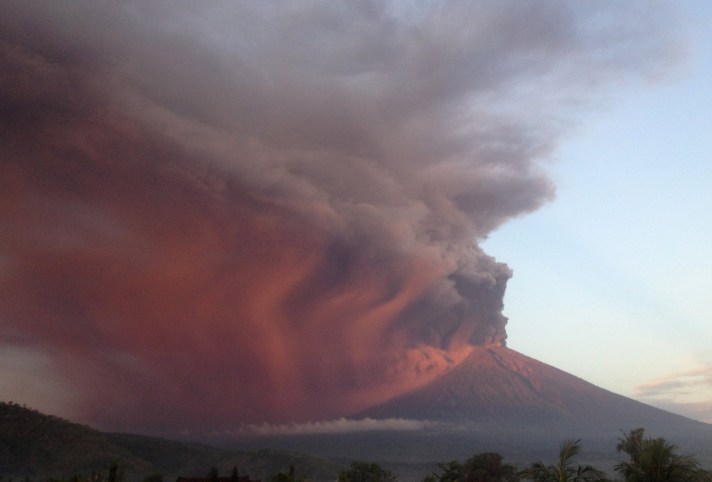 Agung’s last major eruption was in 1963 and killed 1600 people. Have you got flights booked to Bali? Finder.com can help with you information about cancellations, insurance and queries. This story has everything: a severing of ties between two airlines, hotels in hiding and an online petition that’s about to reach its goal. The only thing Travel Weekly staff are partnering with today is some cheap wine and a particularly greasy pizza.